Most of hot air loop inside the box so it is high thermal efficiency and energy-saving. It uses forced ventilation, with adjustable air divider plate in the box. The materials are dried uniformly. Heating sources offer a wide choice of steam, electricity, far infrared. 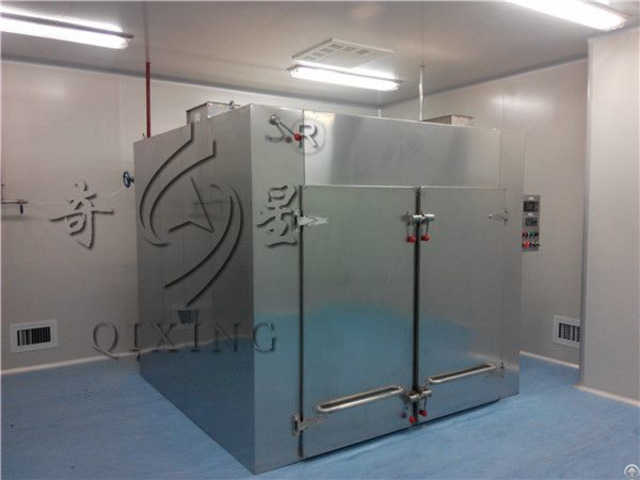 Machine has low noise, auto-controlled temperature and convenient installation and maintenance and is stable in operation. It has wide application and can be used to dry various materials, so it is a commonly used drying device.